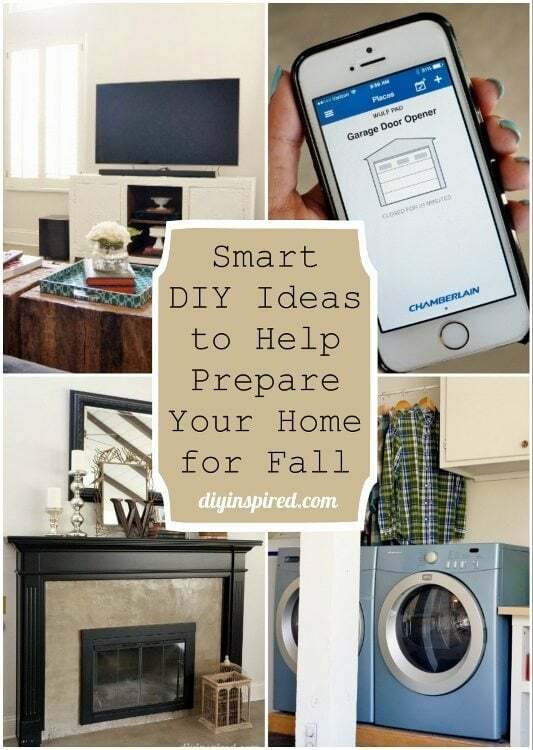 This article, Smart DIY Ideas to Help Prepare Your Home for Fall, is sponsored by Chamberlain. All opinions are 100% my own. Just when I thought summer was finally here, it’s already time to prepare for fall. 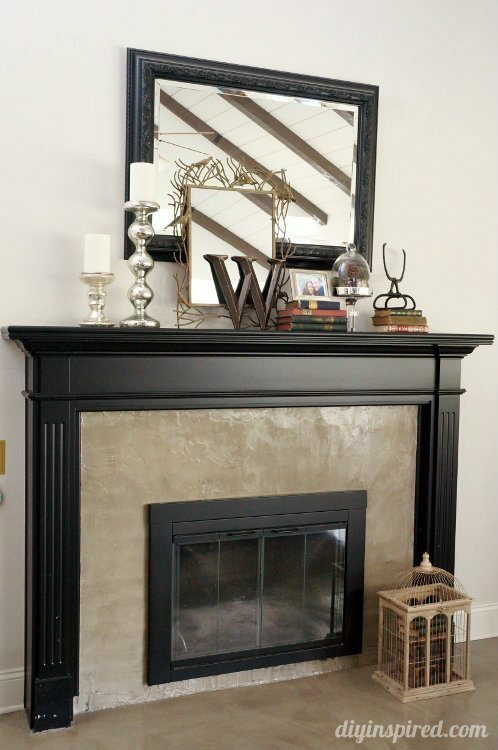 Fall means chilly days and cold nights, staying ahead of the game, and prepping your home for the colder seasons. At our house, it also means entertaining and dinner parties. 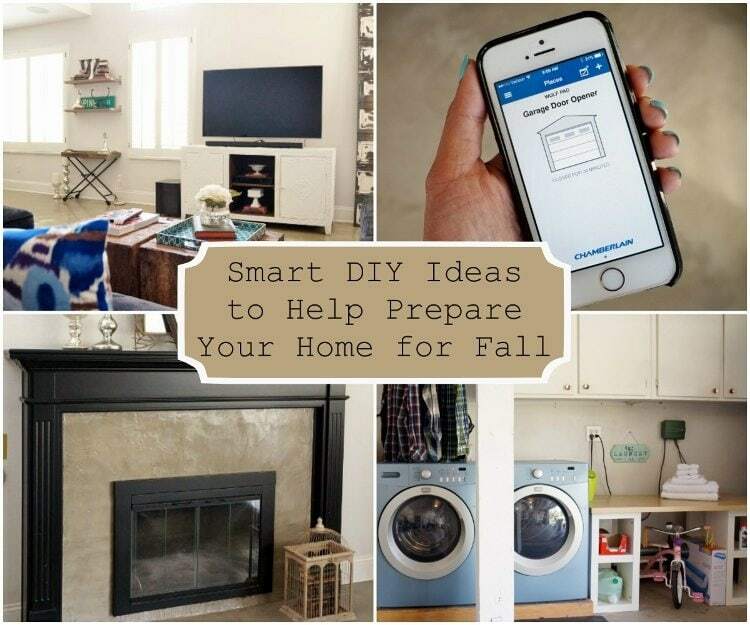 That being said, I thought I’d put together some smart DIY ideas to help prepare your home and your garage for the fall. Let’s start in the garage. 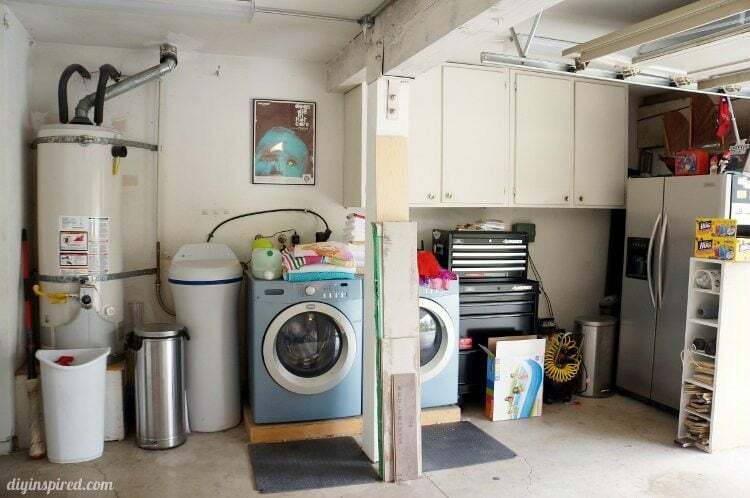 You may recall I recently organized my garage. I’m pleased to say, I have been able to keep it up and have also made a few more simple but helpful changes. 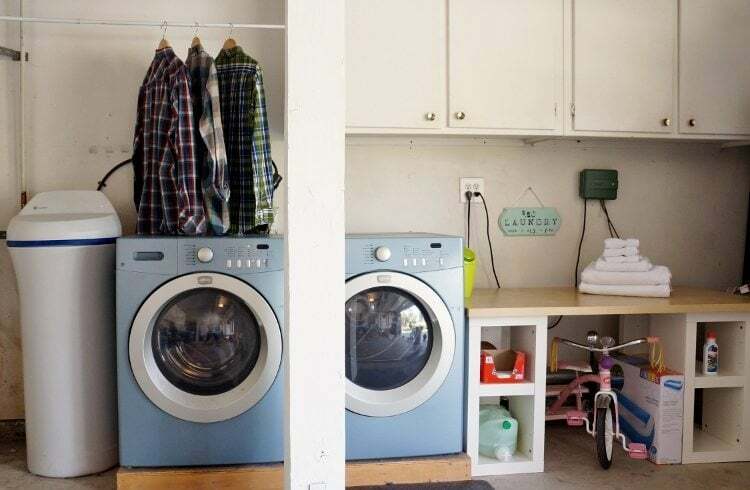 Our garage doubles as a laundry room. 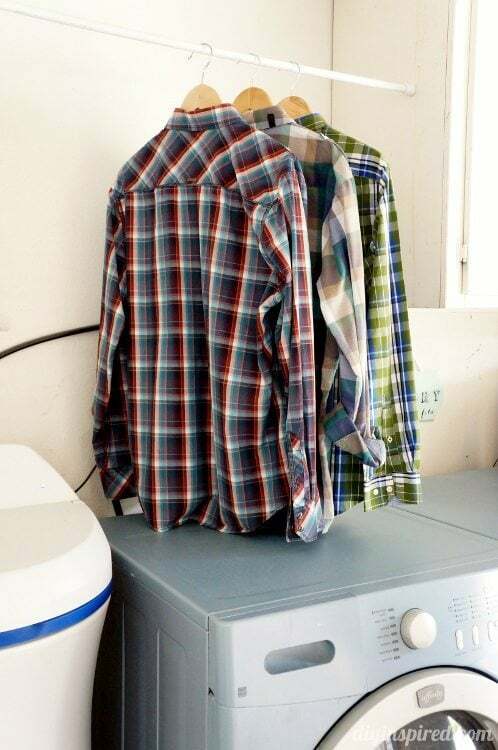 For years, I have been guilty of stacking clothes, linens, and towels on top of the washer and dryer. They have become the catch all of the “laundry room”. Here is a BEFORE photo. The first thing I did was purged the extra garbage cans, boxes, and trash and put away all the laundry. 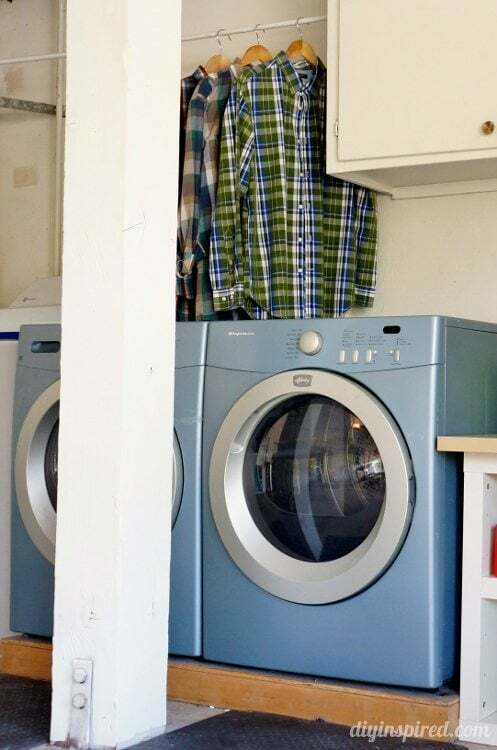 I added a tension rod above the washer. This is great for hanging freshly dried clothes, or for hang drying clothes that can no longer dry outside in the colder temperatures. I moved the toolbox and compressor to the other side of the garage. 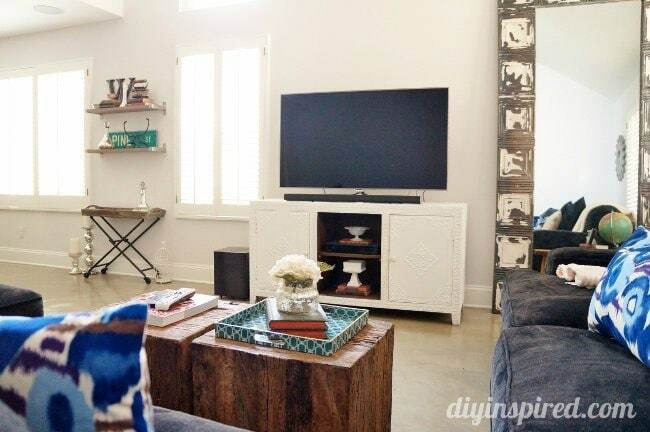 I thought this area would be perfect for a folding table. Now I don’t have to lug all the clothes inside. 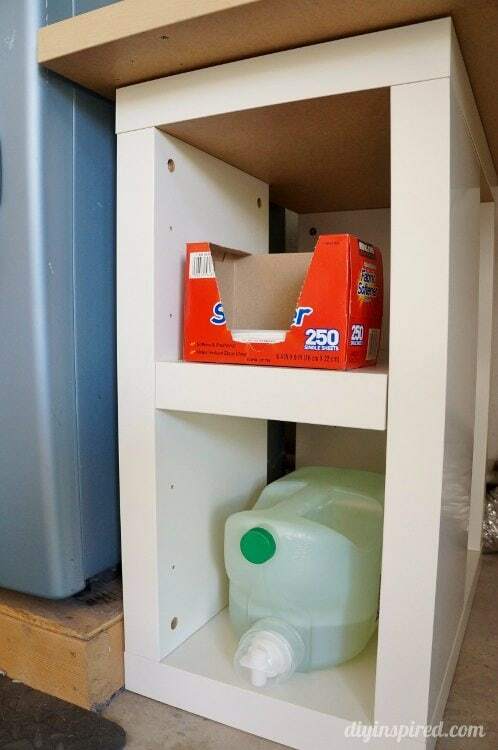 The legs of the table have shelves for detergent, fabric softener, and other laundry room essentials. 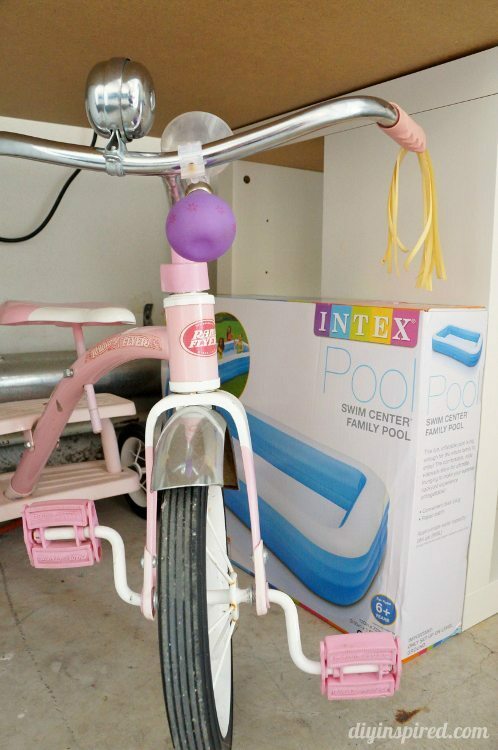 I also stored some summer toys underneath the table, like my daughter’s small swimming pool and tricycle. 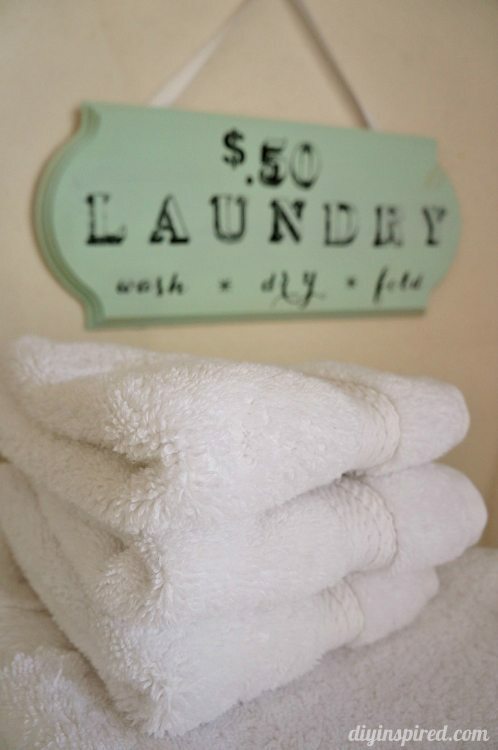 I a small trashcan for lint and used dryer sheets as well as a laundry room sign I made. 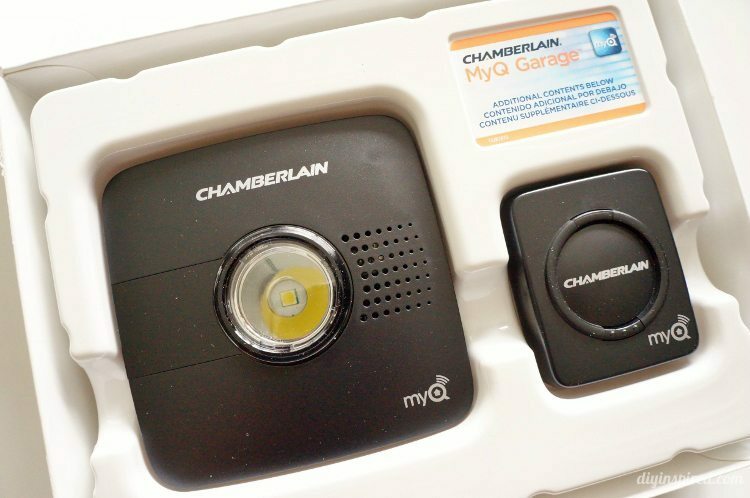 My best friend saw my changed garage and was inspired to transform her own; since they have an older garage door opener we decided to install the Chamberlain MyQ Garage universal smartphone garage door controller. 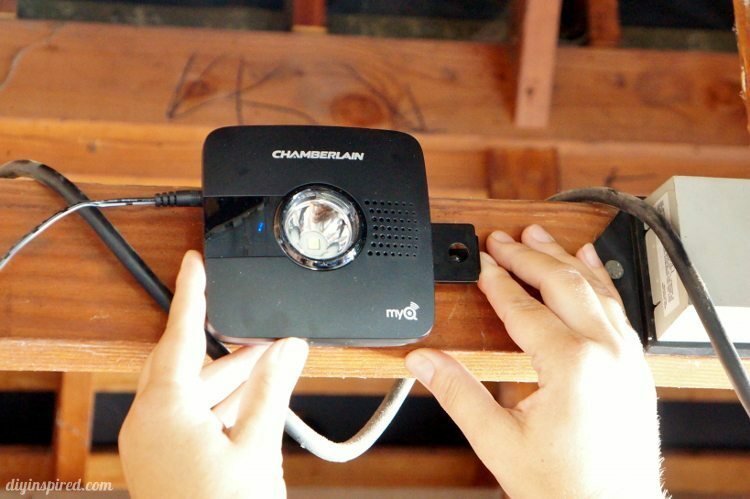 This is a must for fall and works with most garage door openers manufactured after 1993. 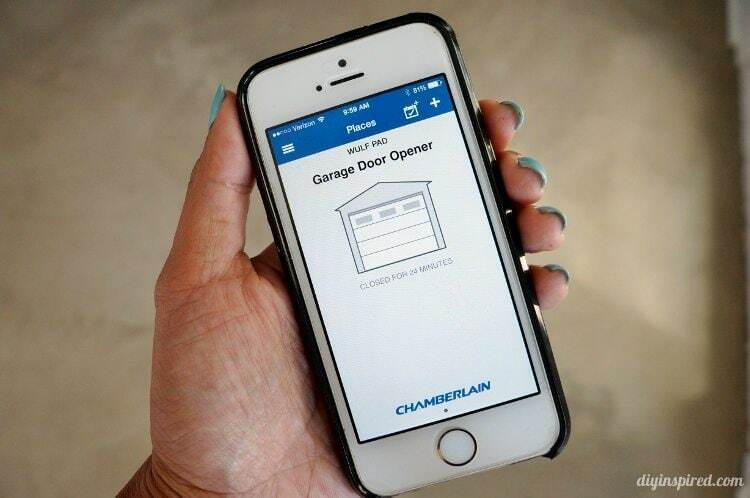 Not only can you open and close your garage door from your smart phone from anywhere, it will notify you on your phone every time the garage door opens. If you are not home and another family member forgot their keys, they can simply give you a call and you can open the garage door for them from your phone! The app not only gives you the ability to check to see how long the door has been opened or closed to give you peace of mind and a sense of security, but it’s convenience gives you the freedom of carrying a remote control on a walk or bike ride. Here is an example of how you can see her garage door has been closed for the past 24 minutes. 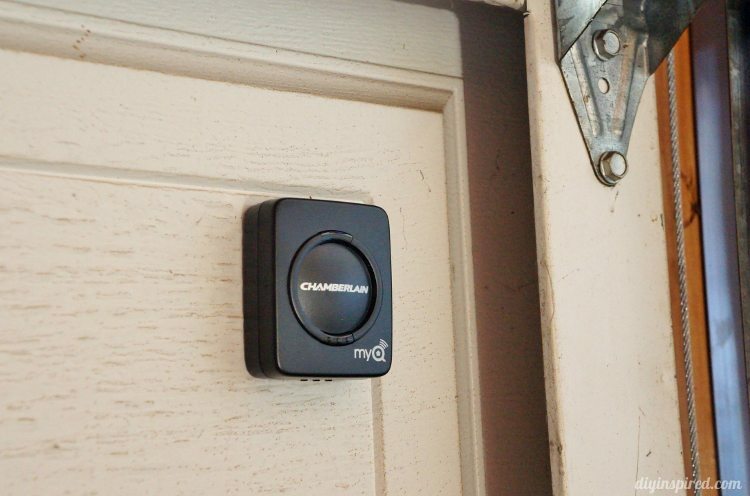 With two quick taps, she can open and close her garage door with her phone. It’s simple and so convenient. 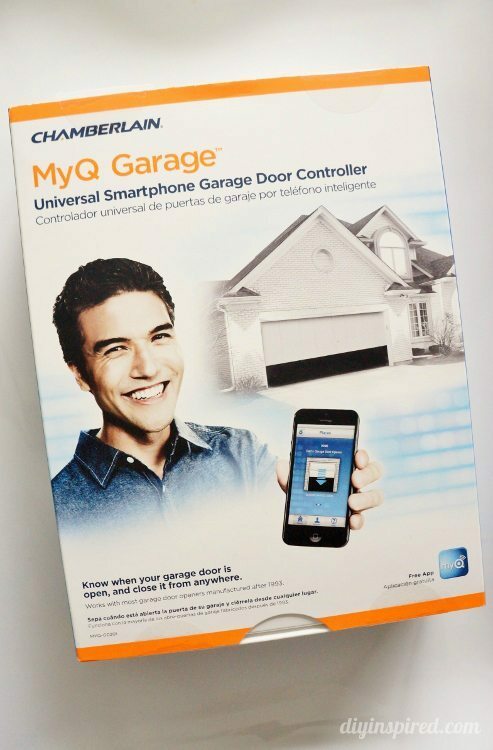 The Chamberlain MyQ Garage universal smartphone garage door controller can be installed in three easy steps, by 1) mount the Wi-Fi hub near your garage door, 2) mount the door sensor, and 3) download the free MyQ app. That’s it… Peace of mind in three simple steps! 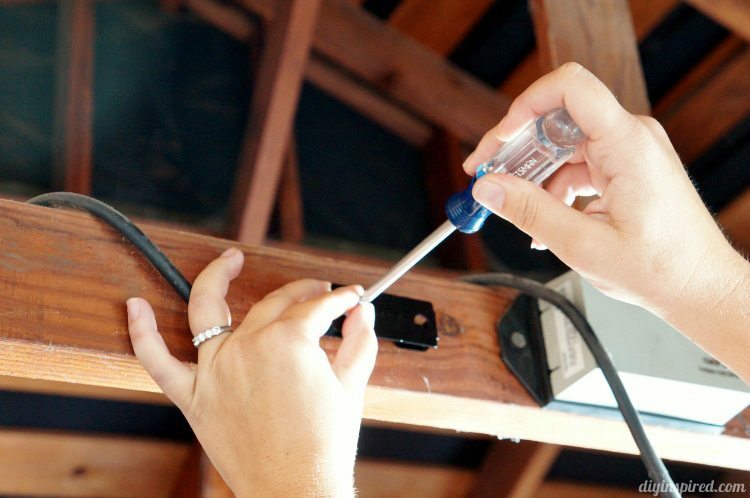 Inside the house, my husband and I do a few routine things to help prepare for the fall time. We check the heater and all the smoke detectors to make sure they are working properly and clean our chimney to prepare for the winter. If needed buy and stock logs or firewood as well. Lastly, for us, the fall is a time for entertaining. With Labor Day, Halloween, and Thanksgiving, we tend to have a lot of friends and family over. In an effort to make our home smarter, we invested in a smart TV and it has proven to be a great investment. The integration with services like Amazon and YouTube is fantastic. We use it to play Pandora during parties and our children can be entertained with kid-friendly and educational Netflix movies and shows, while the adults mingle. Being well-prepared for the changing seasons is a must. 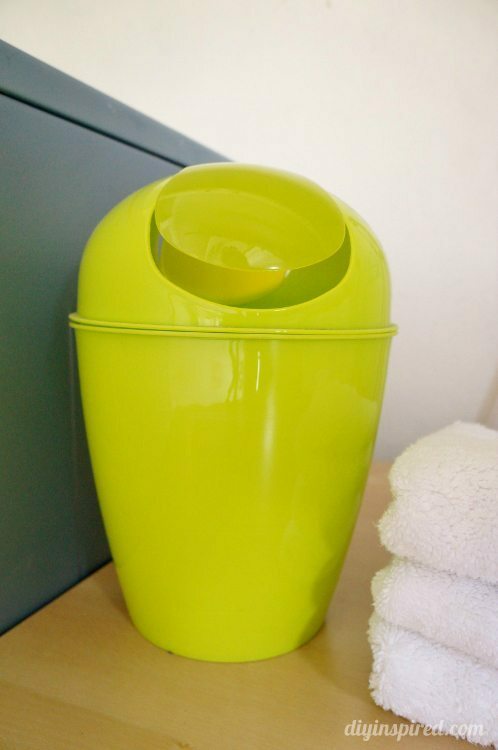 As you can see, a few small DIY ideas can make a great impact and keep your home organized, clean, and up to date. 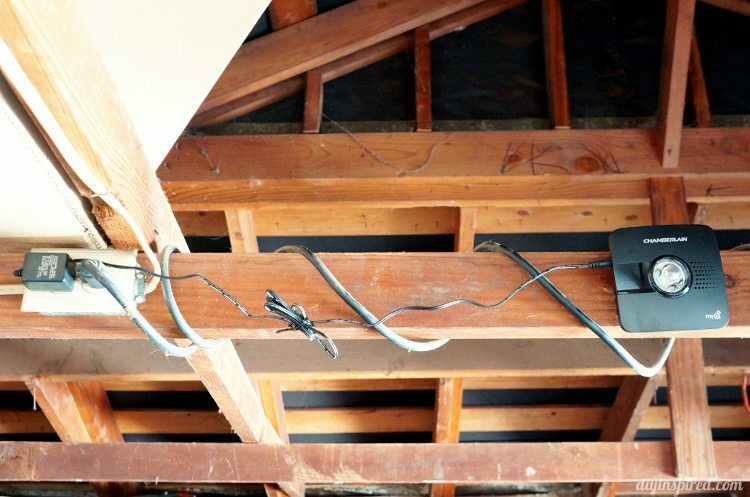 This looks like such a cool tool – I don’t have a garage, but my parents do, and they would love this. Can’t wait to tell my mom! It is so awesome. I’ve had it for a while now and I can’t imagine my life without it! Great tips Dinah!! I hate having the remote opener in my car. I’d feel so much safer if it was a phone app!! Thank you, Sharon! It’s pretty amazing! Thanks for sharing your tips! You make it look so easy! Thanks for stopping by, Vicki!